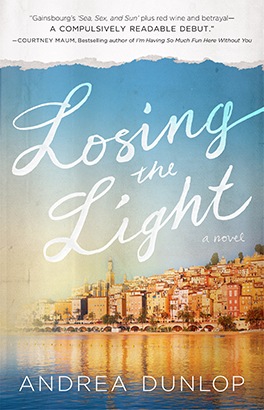 Andrea Dunlop is the author of the novels Losing the Light,She Regrets Nothing, We Came Here to Forget and the novella Broken Bay all from Atria Books (Simon & Schuster). In addition to her writing, she works as a publishing and marketing consultant. She lives in Seattle, WA with her husband and daughter. "Dunlop's globe-trotting story of two sisters driven apart by a devastating event is a propulsive whirlwind of secrets, passion, betrayal, exotic locations -- and hope. It's as timely as it is riveting." Katie Cleary has always known exactly what she wants: to be the best downhill skier in the world. But as the upward trajectory of her elite skiing career nears its zenith, a terrifying truth about her sister becomes impossible to ignore—one that will lay ruin to the life she knows. Sign up here for tour news, book recommendations, special offers, and more via my newsletter DEAR READER .